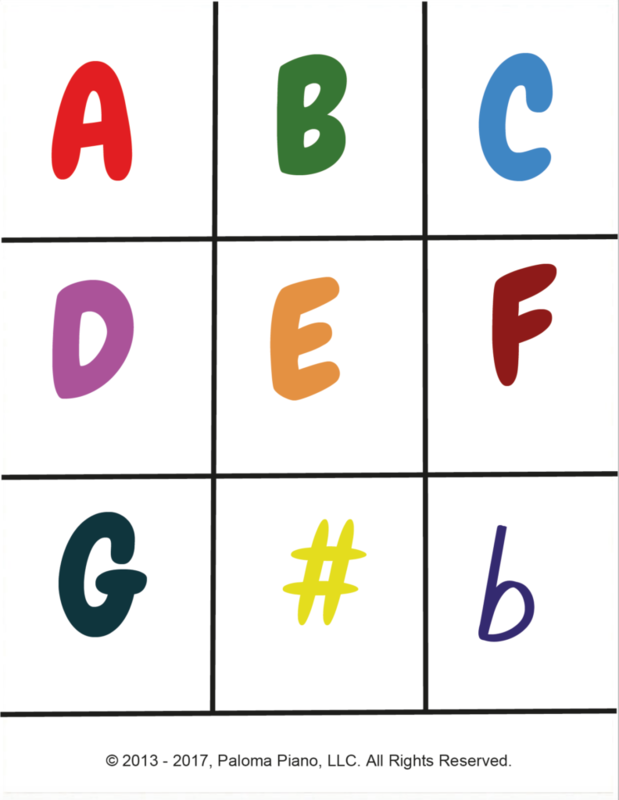 These colorful Music Alphabet Cards have so many uses. Print them out and have fun with your beginners as they learn the Music Alphabet. Use your imagination and make up games you can play with your students. Have them choose a card and write a note on the staff or find the key on the piano. Print multiple sets and play a matching game. The possibilities are many. Read the post "Piano Teaching Games"
This material is available as part of a free Gold Level Membership to Paloma Piano - Join Us for Free! No credit card is required. All you need is a valid email address. You can also find out about our Platinum Level Membership where you can access all of the great music and resources on Paloma Piano.